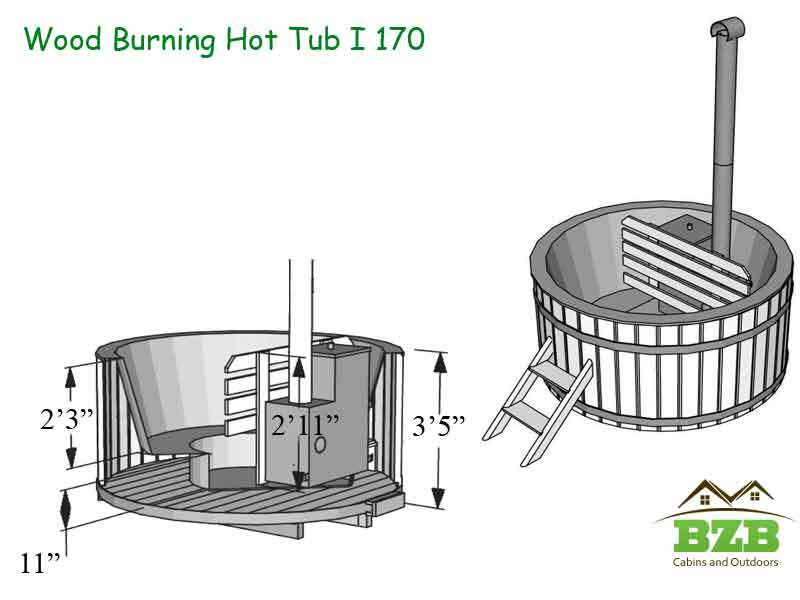 Make yourself comfortable in the BZBCabins Wood Burning Hot Tub I170. 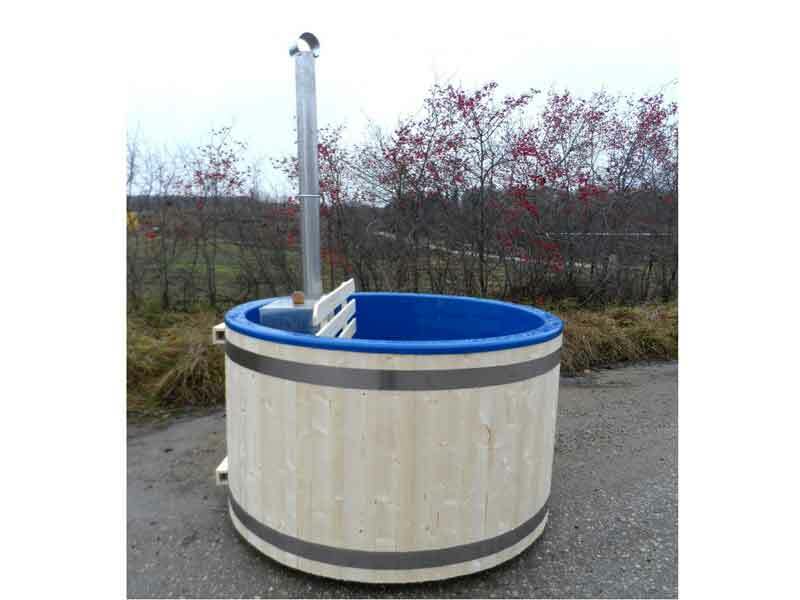 With its 61” inside diameter and 38” depth, it comfortably seats four to five people. 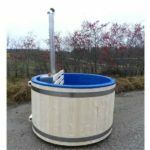 Weather in summer or in winter, the wood burning hot tub is perfect all year long. 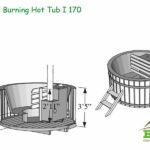 For your convenience, the tub is fully lined with PVC material that makes cleaning and maintaining your hot tub extremely easy. 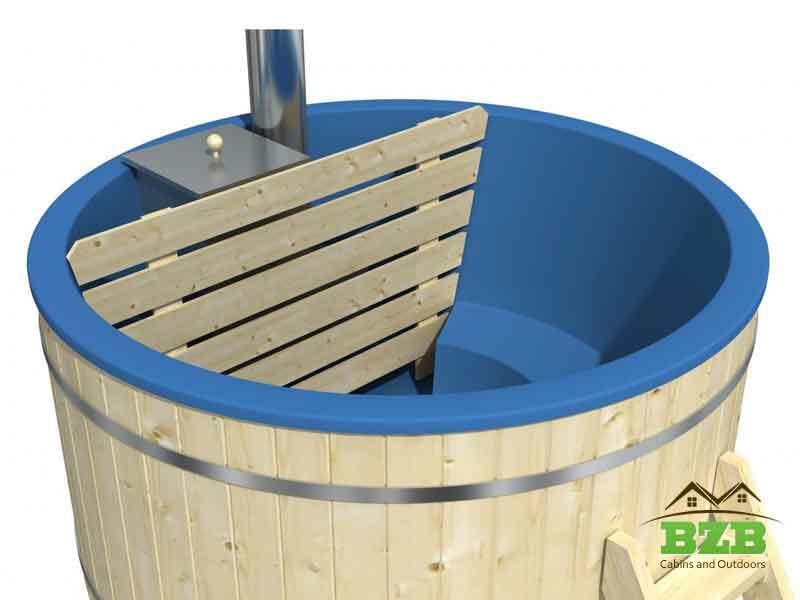 The liner also eliminates the possibility of any leaks as well as the potential bacterial growth. 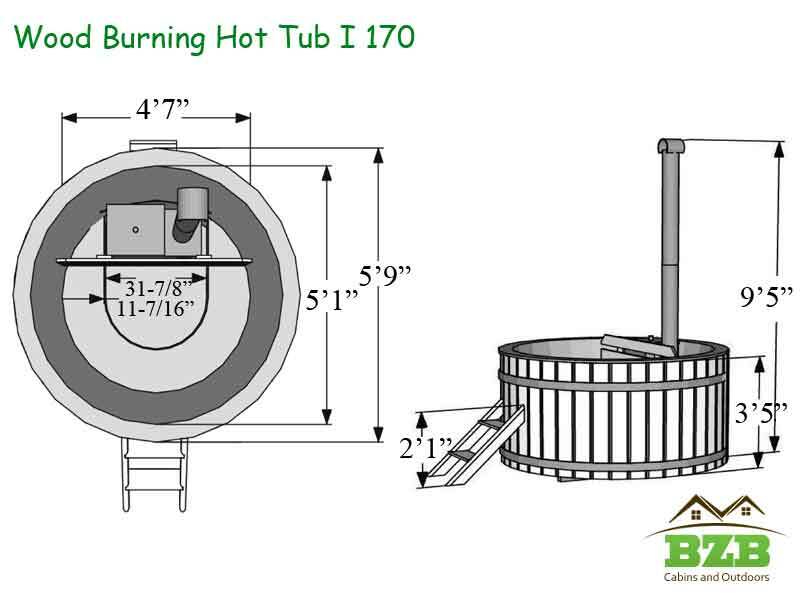 Comfortable, molded seats of the tub add to the pleasant bathing experience and help you relax. 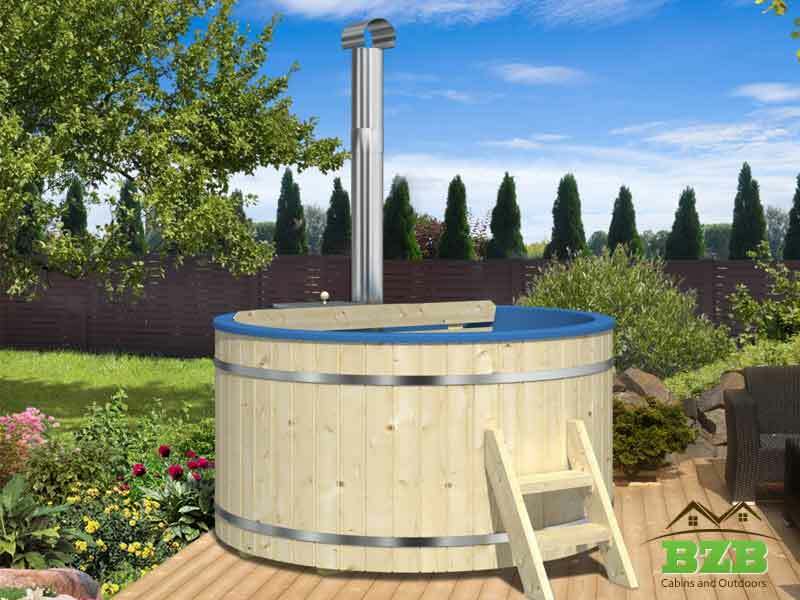 The internal wood burning heater warms up the water in approximately three hours and you are ready to dip in. 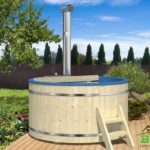 Furthermore, the hot tub comes already assembled, except for a chimney and a ladder that can be installed at the site in minutes. 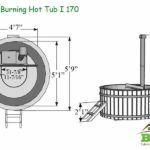 No need to spend extra money on stain since all the wood parts of the tub are factory-stained with a pleasant light brown color that will also help to extend the lifetime of your tub. 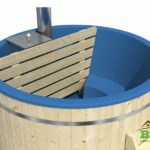 Relax and enjoy the BZBCabins Wood Burning Hot Tub right in your backyard all year long!